We have been having phenomenal weather, cool, breezy, and clear. 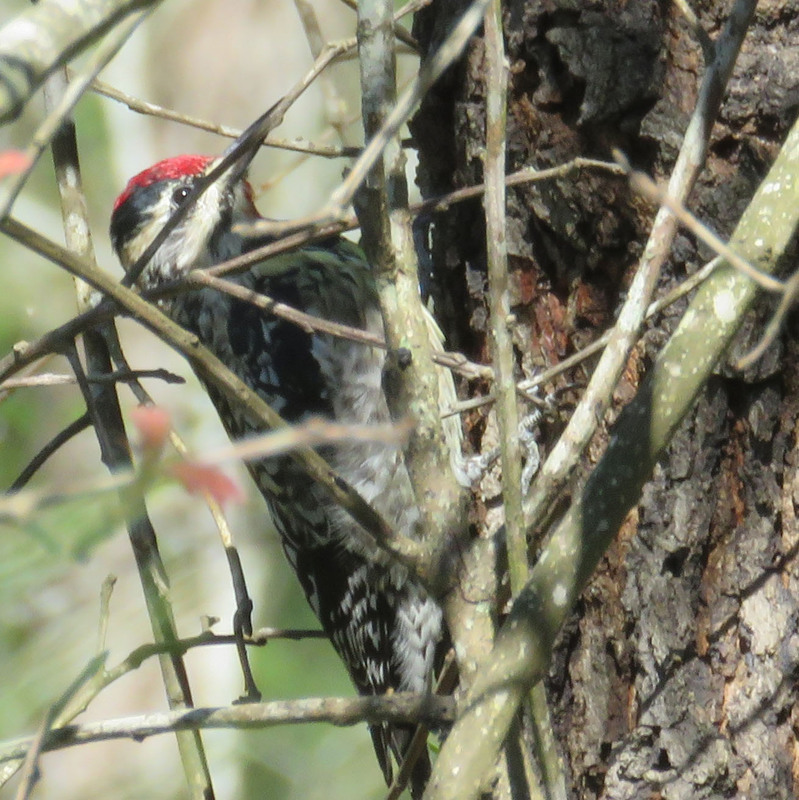 The trees are leafing out, our winter birds have moved on, for the most part, and the insects are zooming around purposefully. 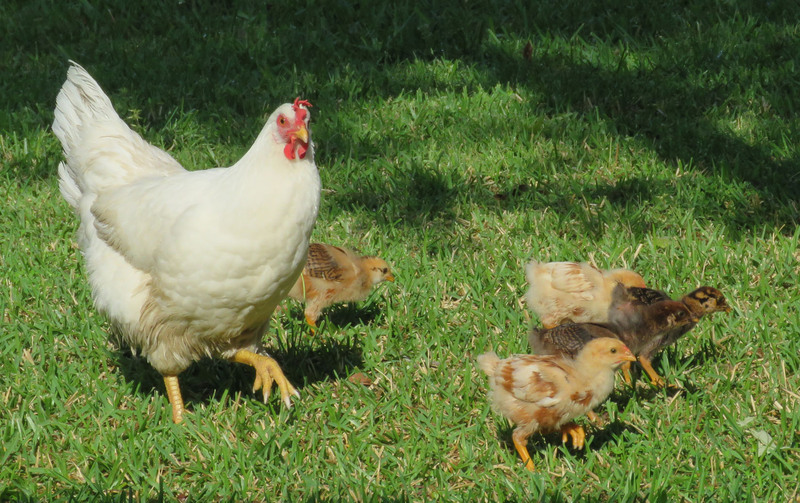 Bertha hatched out five chicks about two weeks ago. 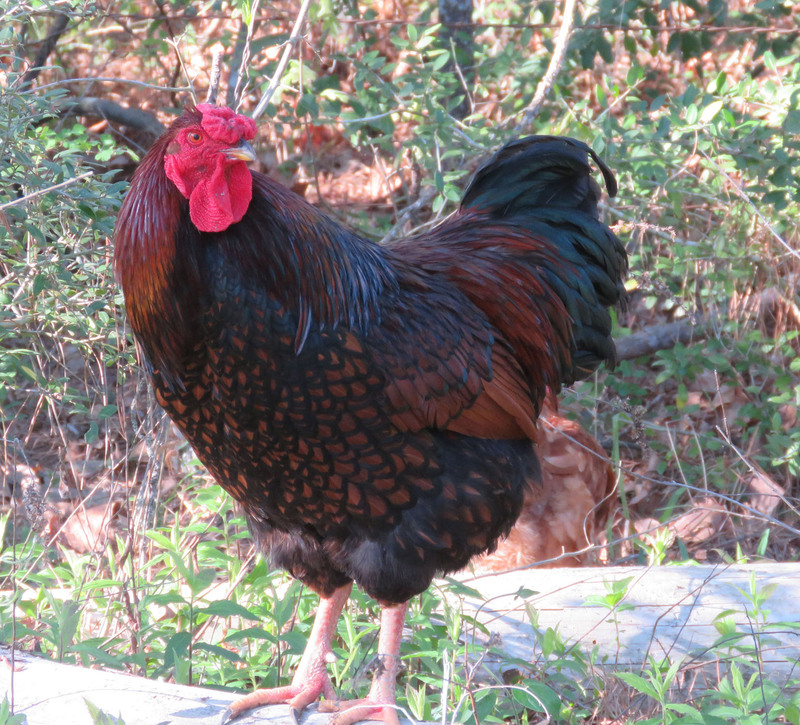 Arless the rooster remains vigilant. 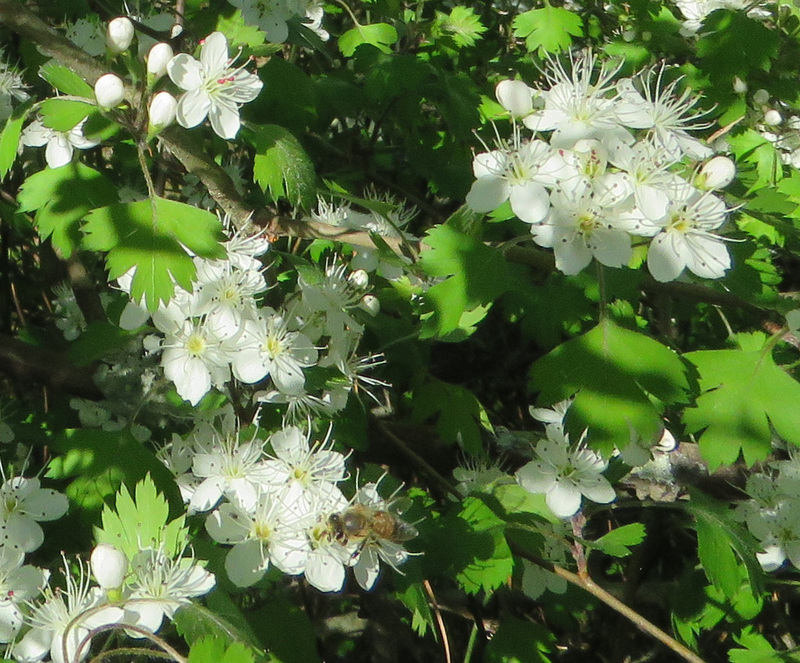 The parsley hawthorne draws pollinators. 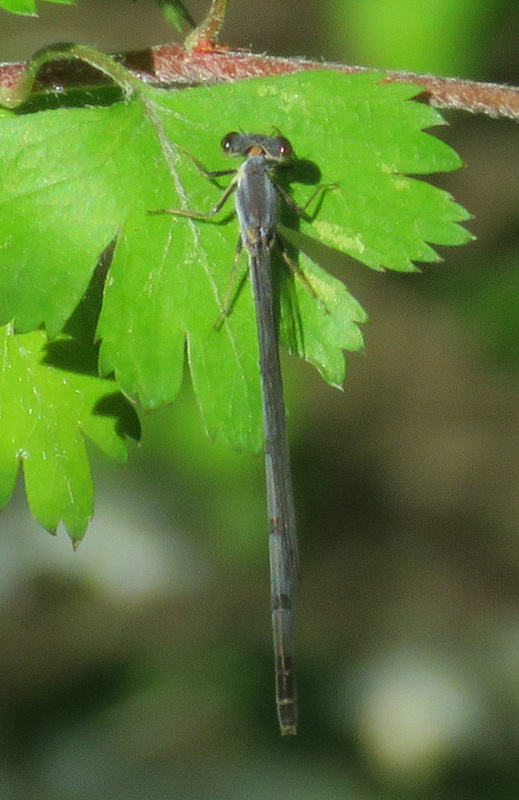 A damselfly rests on the hawthorne leaf. 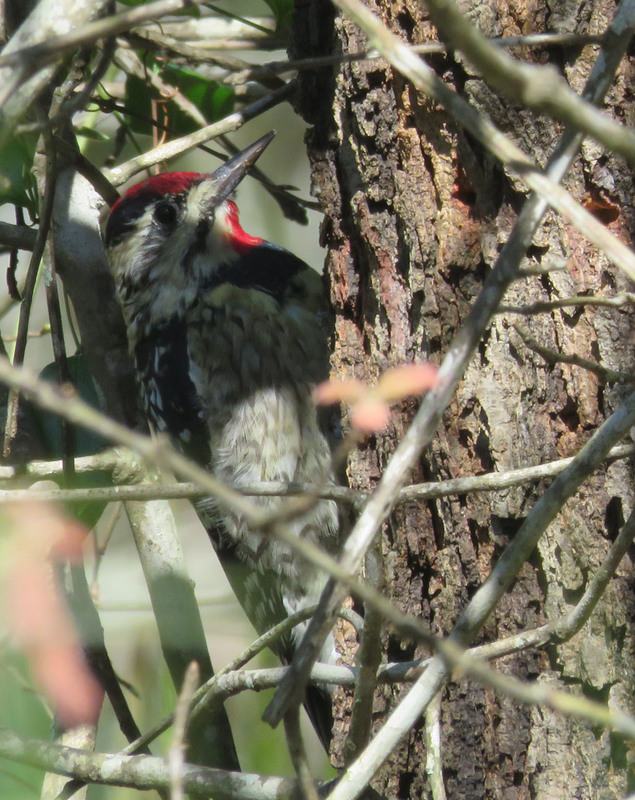 A Yellow-bellied Sapsucker in partial shade. I love how its belly feathers look like a subtle plaid. 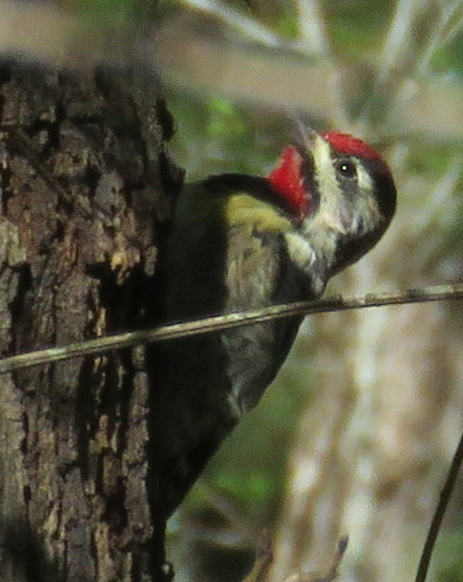 When its head comes out into bright sunlight, sticks block the view of its profile. Now its body is in shade. It’s always something. I have been waiting literally years, to see this species land, so I could get a picture. 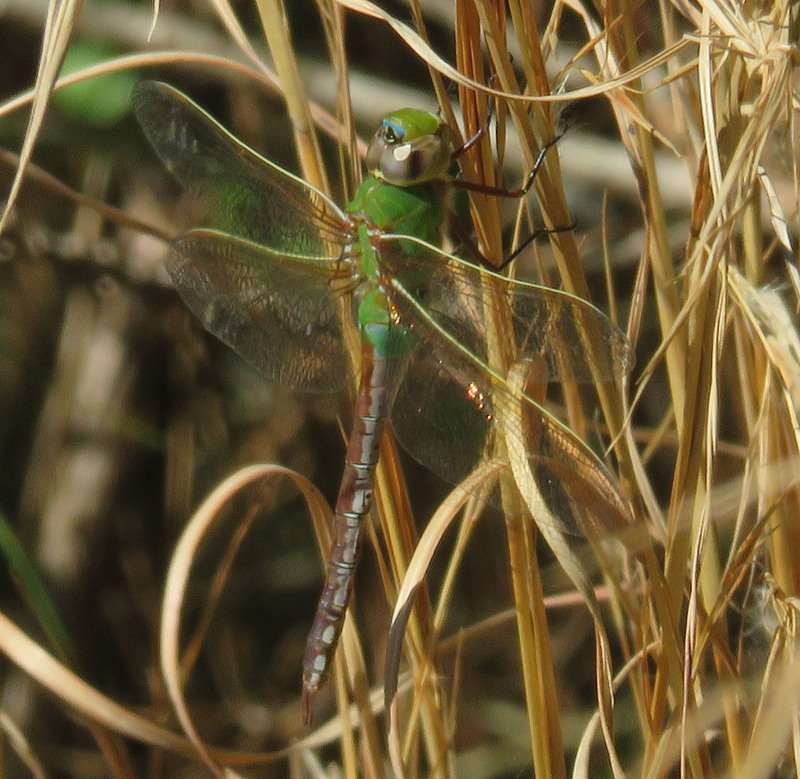 I think it is a Common Green Darner. 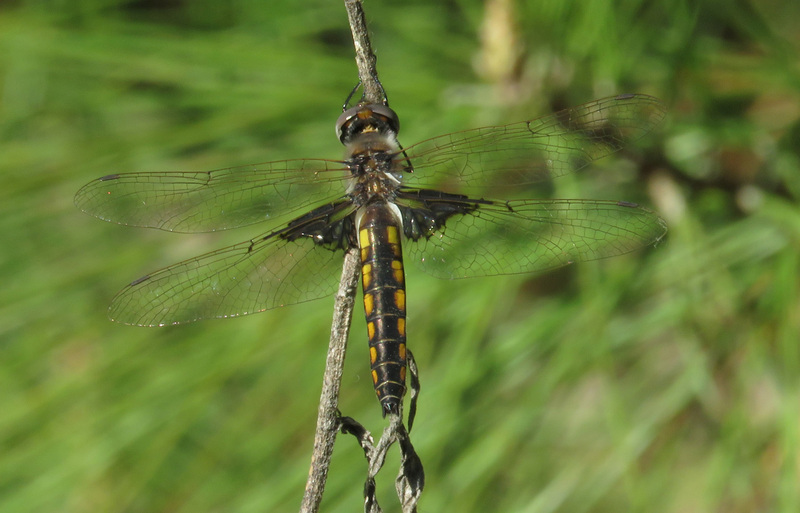 This Mantled Baskettail stayed in one place so long, I was able to get pictures from different angles. 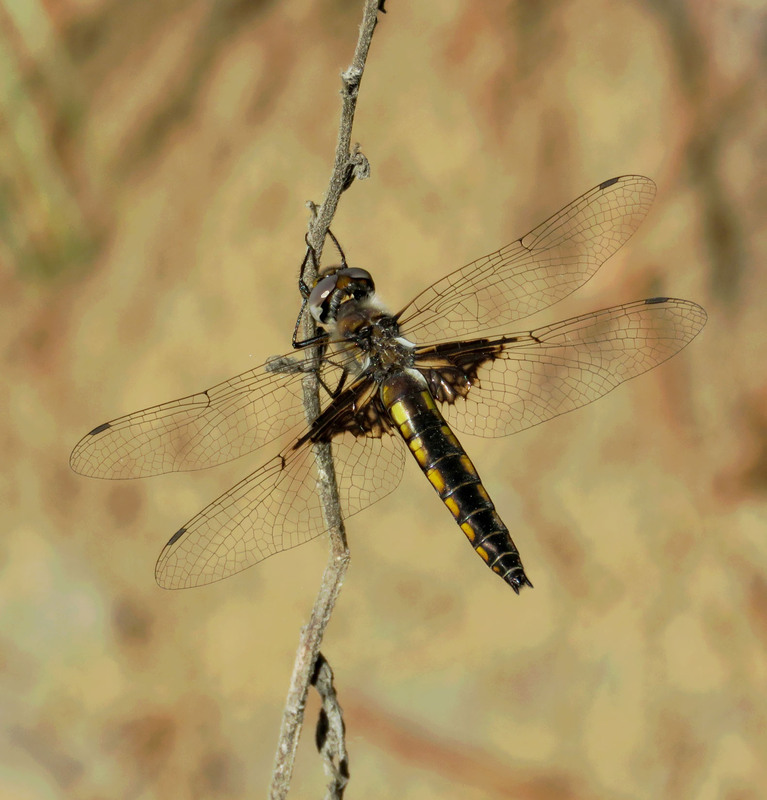 Same Mantled Baskettail, different background. I hope that wherever you are, you can find some seasonal details to enjoy! My seasonal details involve icicles and mud . . . so I live vicariously through your photos for the time being! Wonderful. Arless is a beautiful bird! Spring is my favorite time of year. its so awesome to see the birds and all God’s creatures spring to life, new birth and boundless supply of flowers. We are getting a lovely breath of spring this year, before the dreaded summer. I hope you are getting great weather in North Texas too! Thanks, Chris, I will stop by and see what other things you have for us this week! The pictures ooze the essence of spring. I can’t wait for spring to grace the east coast!